Automotive Lifts for Repair Shop or Home. Total Tool is the area’s premier dealer for sales and service of the top brands in lifts for cars and light to heavy truck lifts. Total Tool also carries automotive lifts, light-truck lifts, heavy duty truck lifts and lifts for use in your home garage. Look through our wide selection of lift models by manufacturer to find the model you’re looking for. 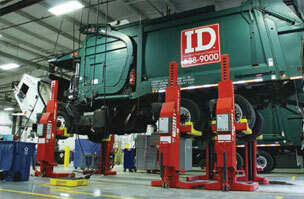 We carry 2 post car lifts, 4 post car lifts, alignment lifts, car storage/parking lifts. Total Tool is proud to offer lifts from Mohawk, Rotary, Challenger, QuickJack, and Quality. You’ll find specifications for each lift model featured on our site and if you have any additional auto or truck lift questions, please call our lift experts. We’ll be glad to help you choose the right one for you!